The latest Golf Game from Nintendo has just been released, namely Mario Golf, a new and innovative Golfing game, packed with the latest game play for your nintendo devices. Although there are better graphical golfing games on the market in 2012, this is a great addition with simplistic game play and graphics. Mario and his friends bring the Golfing World alive, with 4 seperate Golf Club Champions. 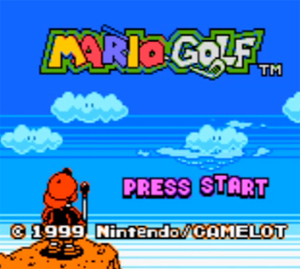 The 3D Effects in this classic Nintendo golfing game are great, ensuring the general game play is enjoyed by all ages. There are various modes of game play on offer as well as over ten practice locations to learn how to play this classic golfing game. This game offers Golfing tips from the array of other golfers within this game, ensuring the learning modes are of the highest level of quality. 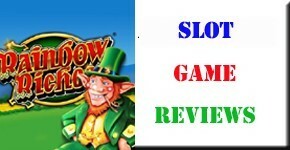 The variation in mini games offers even more value for money, so we really do highly recommend this quality golf game. This is a great game, If you love golf and also want to learn more about the world of gold, we highly recommend you take a look at this fantastic golfing game. This game was released on October 11, 2012. We have also compiled a Review System for this, of which Mario Golf is Rated as Five Stars, the highest possible score available from the Game Review Team. 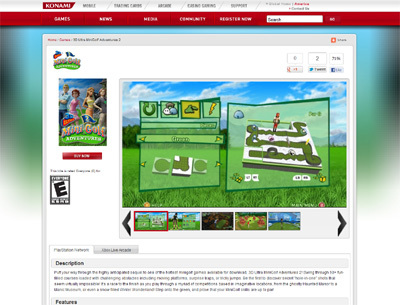 The Website address for Mario Golf can be found on the Official Mario Golf Game Website. Our team have always been a fan of golf based games as we have had some of our most fun times playing them so when we first saw the Super Swing Golf game it immediately appealed to us. The game offers players one of the most highly entertaining and fun golfing experiences as they work their way around the countless courses located all over the world in the search of glory and stardom. Super Swing Golf has good graphics although they are slightly primitive in some ways but this does not affect the overall enjoyment of the game at all. Obviously we are saying this as we have been spoiled by the Tiger Woods series but what this game lacks in graphical capabilities it more than makes up for in regards of game play. 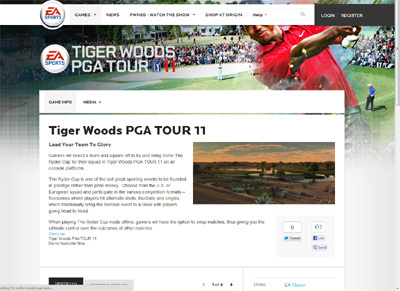 The game allows you to enter many different types of golf tournaments such as the world championship and the player’s cup. 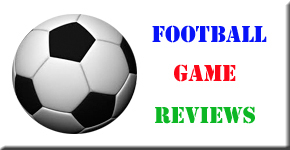 What we found about this game was that if you start playing it with friends then you will find it very hard to put down as it brings out the competitive side in anyone. 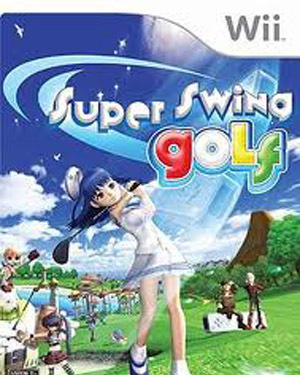 We have compiled a Review System for this, of which Super Swing Golf is rated as Four Stars, the second highest possible score from the Game Review Team. Mini Golf Adventures allows players to join in the wacky fun and excitement of miniature golf and it is very entertaining all round. Players can create and navigate many various courses which can differ tremendously in difficulty and the game itself is very good. There could have been more variety included but the game is very good anyway. We have also compiled a Review System for this, of which Mini Golf Adventures is Rated as Three Stars, the third highest possible score available from the Game Review Team. 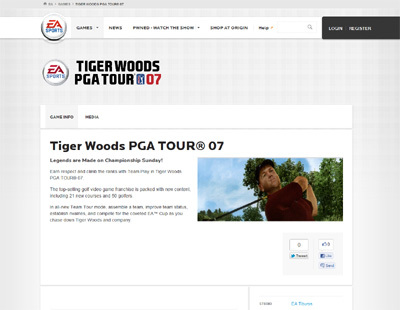 Tiger Woods 2006 was one of the most successful editions of this long running golfing game series and was also winner of many coveted awards along the way. 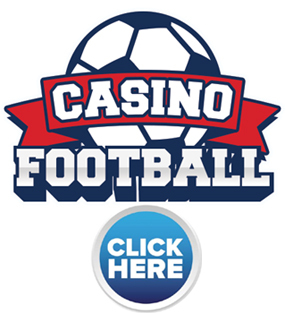 The game itself is one of the smoothest you will ever experience and contains excellent real life graphics as well as easy to handle game play and controls. A really excellent game all round from EA Sports. 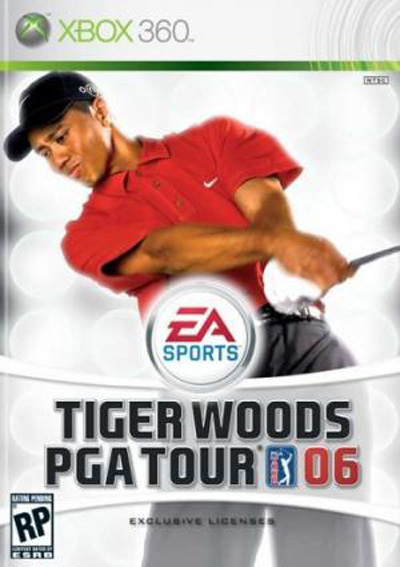 We have also compiled a Review System for this, of which Tiger Woods 2006 is Rated as Four Stars, the second highest possible score available from the Game Review Team. Tiger Woods 2007 is not the best edition of this long running series in many ways but is still a very good game indeed and was at the forefront of golfing games for the year it was released. The graphics are still very good but the only downfall of this title is the controls of the game as they are not as pin point as the new editions. We have also compiled a Review System for this, of which Tiger Woods 2007 is Rated as Three Stars, which is a fair score from the Game Review Team. Tiger Woods 2008 is still one of the best golf games on the market today and has won numerous awards across the world from leading industry authorities. The game features some of the most real to life graphics ever seen on a game of this kind and is very smooth running and extremely addictive. 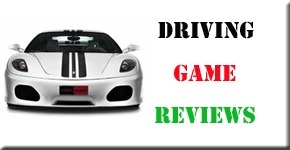 We have also compiled a Review System for this, of which Tiger Woods 2008 is Rated as Five Stars, the highest possible score available from the Game Review Team. 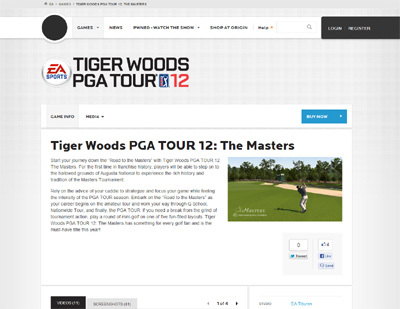 Tiger Woods 2009 is still thought of as one of the best golf based games ever and has received many excellent reviews from leading video games critics from around the world. I have found it to be very entertaining and easy to play with a great deal of control provided for the gamer which makes it that much more enjoyable. The graphics are also very very good and very realistic making it one of my favourite games ever. 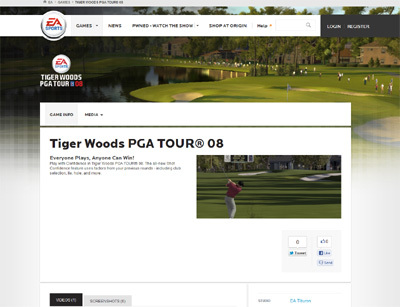 We have also compiled a Review System for this, of which Tiger Woods 2009 is Rated as Three Stars, which is a fair rating from the Game Review Team. Tiger Woods 2010 has provided me and my fellow reviewers with hours of competitive pleasure and is so addictive I just could not turn the game off. The graphics are simply brilliant and make the game so much more realistic which enhances the gaming pleasure and with the brilliant game play also this is definitely a game to have in your collection. 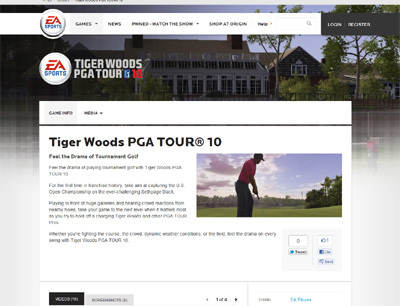 We have also compiled a Review System for this, of which Tiger Woods 2010 is Rated as Five Stars, the highest possible score available from the Game Review Team. Tiger Woods 2011 is an all round brilliant game from EA Sports that once again thrusts gamers into the hectic world of the professional golfer. The game has brilliant graphics that make the players and the courses look more realistic than ever and provides a great challenge to all those wishing to become the worlds number one golfer. 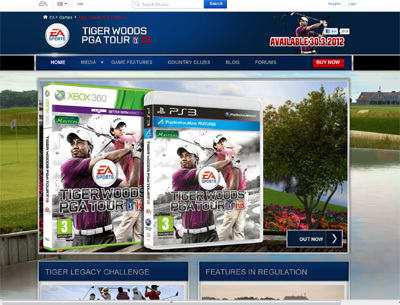 We have also compiled a Review System for this, of which Tiger Woods 2011 is Rated as Five Stars, the highest possible score available from the Game Review Team. Tiger Woods 2012 takes the world of the professional golfer into your living room and believe me it is one of the best experiences ever. The game has many new courses as well as the usual suspects but with its much improved graphics and game play it is by far the best gold game ever created as of yet. We have also compiled a Review System for this, of which Tiger Woods 2012 is Rated as Four Stars, the second highest possible score available from the Game Review Team. Tiger Woods 2013 is absolutely fantastic in every way and is much superior to the previous version of the game in every way. The game has all new courses and challenges and allows players to experience real life gold like never before on a gaming console. I have spent countless hours playing this game for this review and can honestly say I enjoyed every minute. 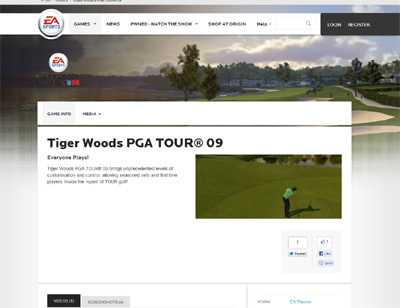 We have also compiled a Review System for this, of which Tiger Woods 2013 is Rated as Four Stars, the second highest possible score available from the Game Review Team.